Hip hop artists, the Super Groupers, (l-r) Scott Ohtoro, Navid Najafi, Cedric Clinton, and IllIsit. We met on a Friday after work to talk about what they would include if they did a version of "This is Hawaii." 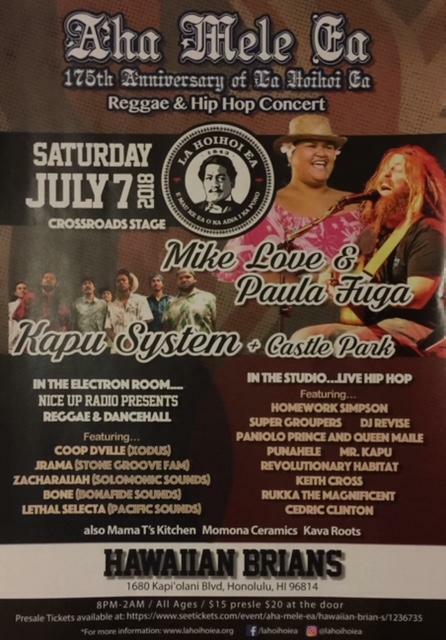 Super Gropers' upcoming event at La Hoihoi Ea, Sovereignty Restoration Day. remembering the return of the Hawaiian nation after a brief occupation by Great Britain in 1843. Snippets of the conversation we had, about what members of the Super Groupers would include in an anthem describing Hawaii. Sure Super Groupers started with a Hawaii response to This is America, and wandered into so many things: trends in hip hop, sources of inspiration, why go on, etc. Recommended. Maybe there’s something just right about meeting in a house with a little front porch in Kaimukī to talk about what Hawai‘i is really like. It was five of us around a table, Friday pau hana, thinking, "This is Hawai‘i," this is us. "The idea of Hawai‘i’s version of "This is America" depends on that person’s relationship with America." Said Scott Ohtoro, a beatmaker originally from L.A., DJ, music producer, and like the rest of the crew here, a member of Super Groupers. 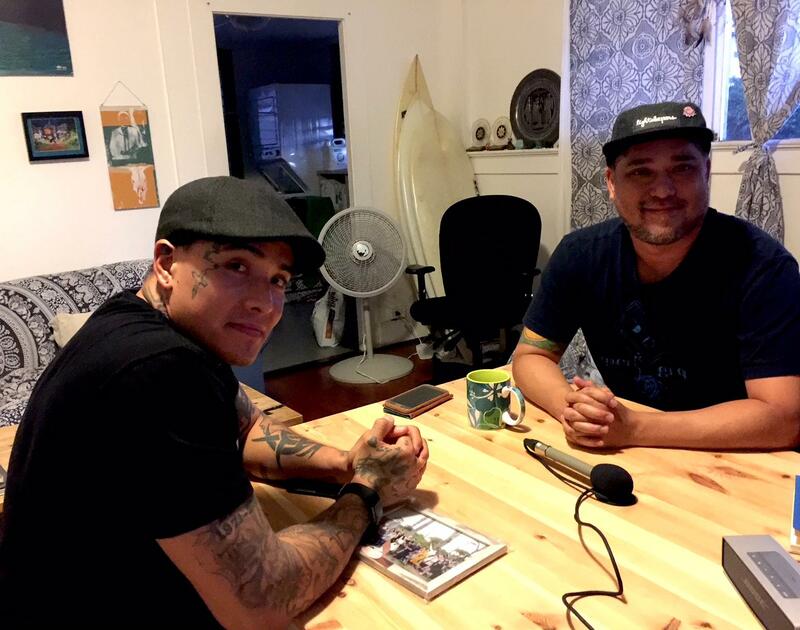 (l-r) MC IllIsIt from Kalihi with beatmaker Scott Ohtoro, originally from L.A. IllIsIt is currently working on a piece with Navid Najafi for his upcoming album. 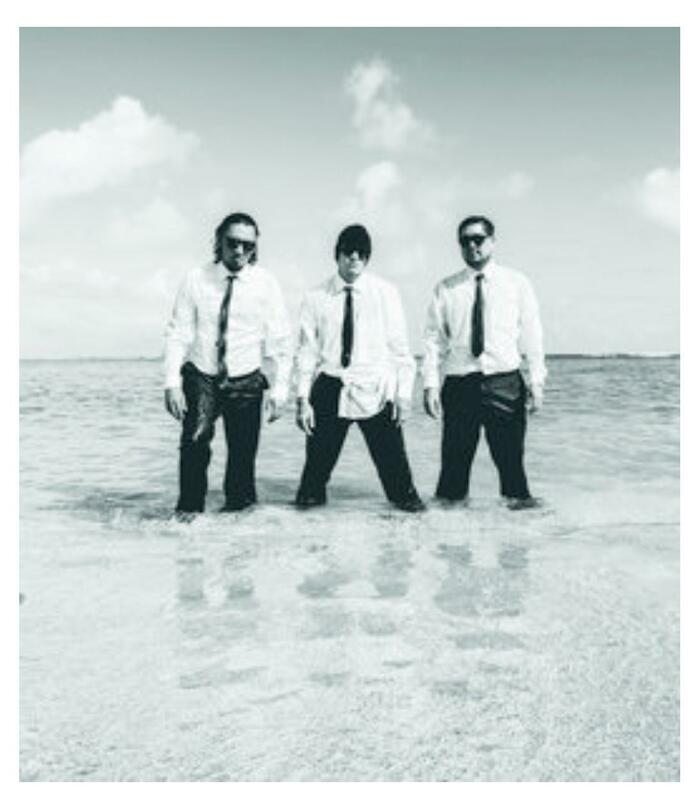 Ohtoro has released a solo recording and is working with others on new material, including an album with a Japanese MC from Kumamoto. Ohtoro: It’s funny because if I was going more into my America, it would be really Japanese. So you’re going through Japan to find out more about your American experience. I think that’s what America is, it’s all immigrants, it’s all people not originally from America so their version of America, it could be anything. I think for artists now days, I think that’s what they’re trying to tap into. Where did I come from? My individual space, my community, guess I see more artists like that now, releasing that kind of art now, Who am I within this idea of America. Ohtoro: Like for me, I’m finding more about my Japanese heritage, and then visiting Japan, going oh yeah, I was really raised Japanese. The way they’re raised in Japan, same way I was raised in L.A. Even though I’m 4th generation, 5th generation removed from Japan, I still feel like I’m more Japanese than American, I guess, the older I get. Ohtoro: This now, its, what is an American feeling supposed to feel like, right? If you take out your own culture, what is American culture? The public holidays? St. Paddy’s day? Cinco de Mayo? "It’s a collection of older cultures that came together and created something new. Because American culture is just a baby. But it’s the value and idea of what is American, didn’t just start with creation of America." 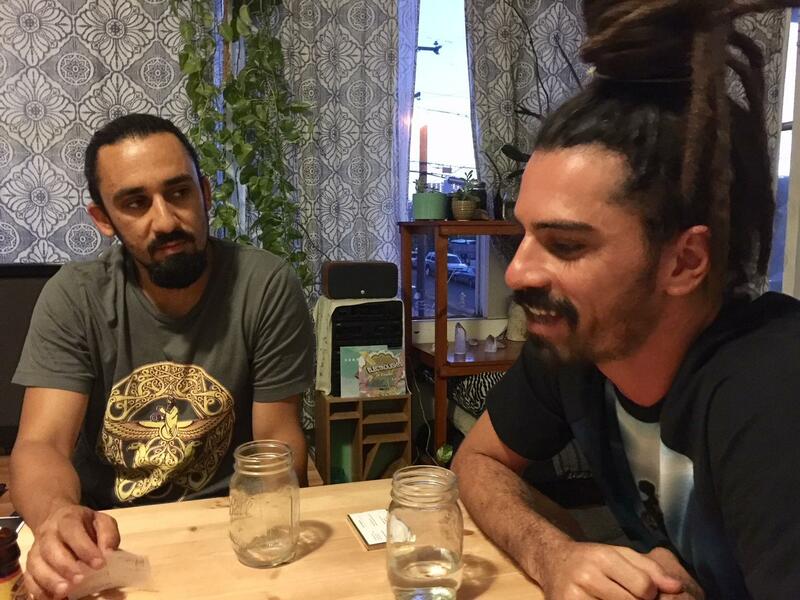 (l-r) MC, producer Navid Najafi was born in Iran, has lived in Hawaii 17 years, got his U.S. citizenship 3 years ago. He is currently working on a solo project with collaborators. MC Cedric Clinton of Waikiki recently released a solo album, Artchitecture, available on his website, CedricClinton.com. MC, producer, Navid Najafi was born in Iran. He came to the U.S. as a child, and has lived in Hawai‘i over 15 years. He points out the ideals America was founded on did not originate with the early colonists. There was Cyrus, that Iranian king. Cyrus the Great, Khourosh, as we call him. He drafted the first bill of human rights. He was the first emperor that actually cared about human rights. They would conquer an area, but they wouldn’t eradicate the culture or the religion. You just had to pay tax. Najafi: But even then, Cyrus was great, but he was still a conqueror, he killed a lot of people. I think our history is a lot older than we’ve been taught and what we know about. But I think there have been times when there have been large civilizations, global civilizations, that have upheld these values. We’ve had positive times on this planet and negative times on this planet. Right now I think it’s a mix of both. 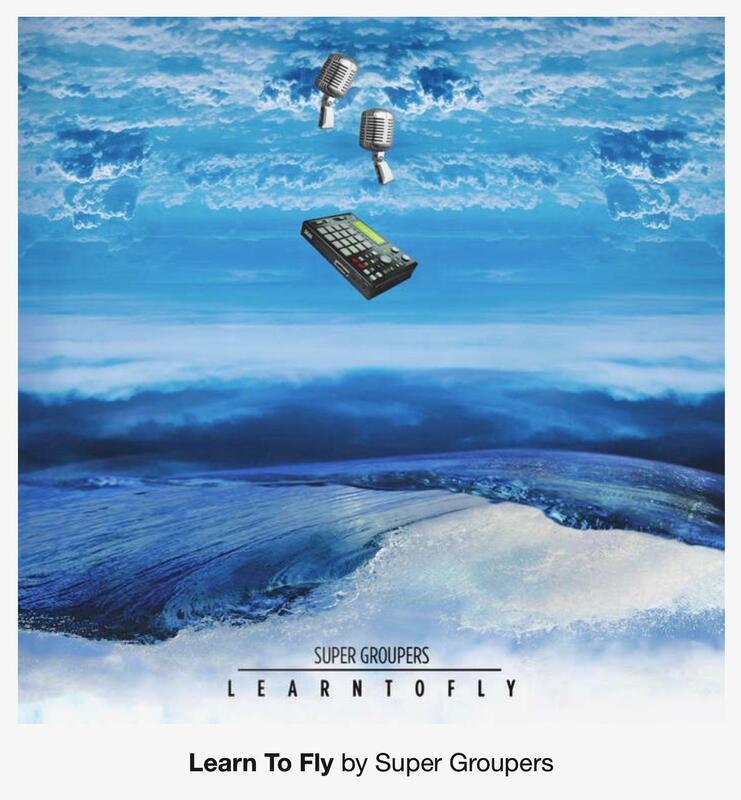 Super Groupers' most recent album, Learn to Fly. Find digital and CD copies online on their BandCamp page. Najafi: But it’s accelerating our global system that’s based on growth and accelerated growth. That is obviously not sustainable. It’s like this engine that’s running on 10. It’s revving hot, hot. Screws are going to bust! At some point you have to take your foot off the gas. Najafi: But talking about the idea of what America is, and we need to go back to what America is supposed to be but that idea was always exclusive. Even when the idea was first introduced, it didn’t apply to everyone that was in America, by far. I came from a true dictatorship in Iran. So I understand clearly what those ideas and those values are supposed to be. And specifically what they’ve offered me, because when i first came to America I remember the anxiety lifting. I remember all that tension and heaviness dissipating. Najafi: But as I grew and I learned what America really is, that that liberty and freedom we enjoy here has always been at the expense of other people. 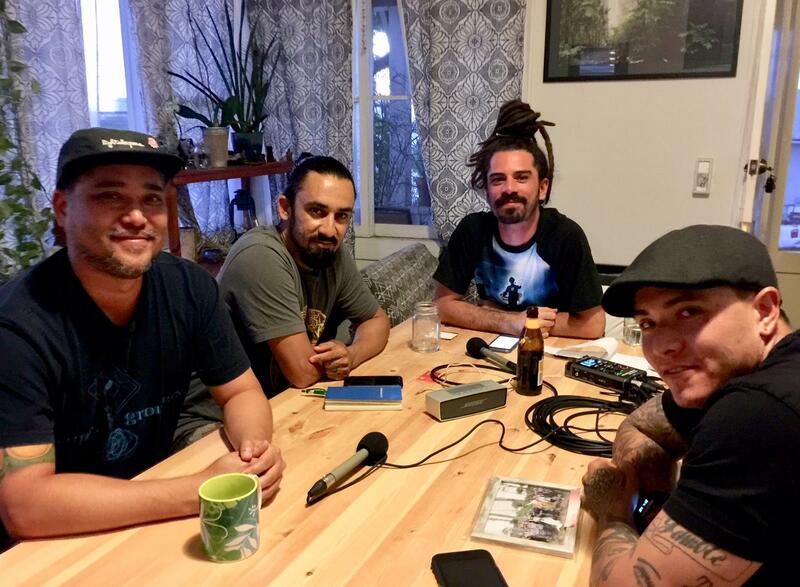 Cedric Clinton is a hip hop artist and entrepreneur, born and raised in Waikīkī. 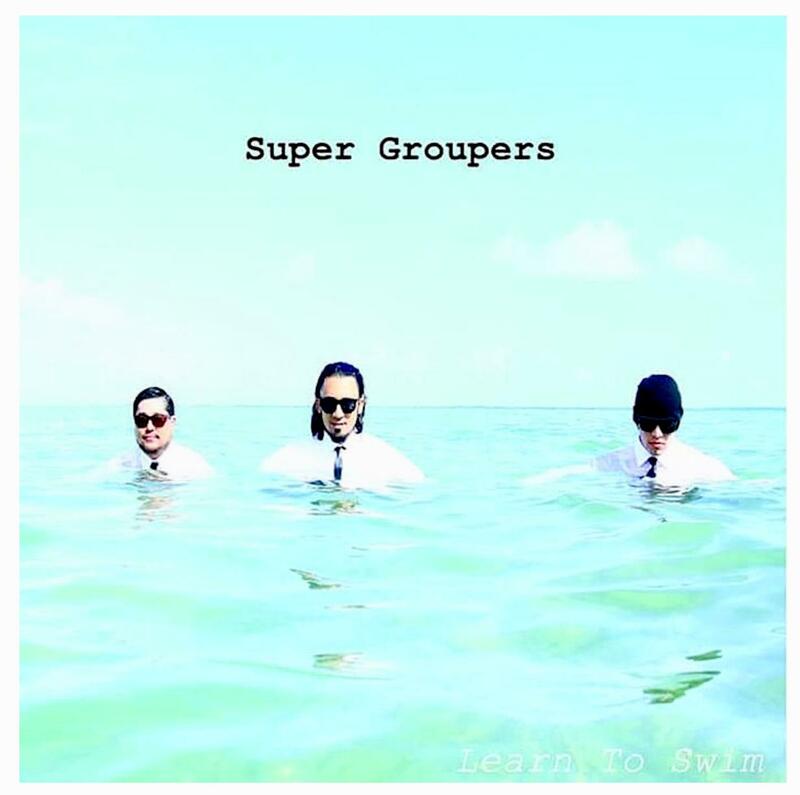 Super Groupers' second release, Learn to Swim. Find digital and CD copies on the band's BandCamp page. Clinton: Personally I feel like Hawai‘i is still its own little world. The concept of ‘ohana, or family here, is still very strong. Clinton: Yeah this idea of America sounds great, the land of opportunity, freedom and all this. But keep creating new laws and religions are separating people and this whole Black lives Matter thing… now with social media it’s great because have the access to it, everyone can see it. Youtube is the new CNN now, we don’t even need television stations. They’re just trying to program us with this message of fear and darkness and keep us in this system perpetuating violence and separation. It’s crazy. IllisIt is an MC and young father, born and raised in Kalihi. IllisIt: I wasn’t really attached to my roots, growing up, I wasn’t really attached to anything. I enjoyed being separate from everything else because everything hurt. That’s the truth of that. That’s how I got started with writing. What connected me to the world around me, was writing about it. I don’t really pay much attention to politics, to be honest, so I don’t really know what’s going on. 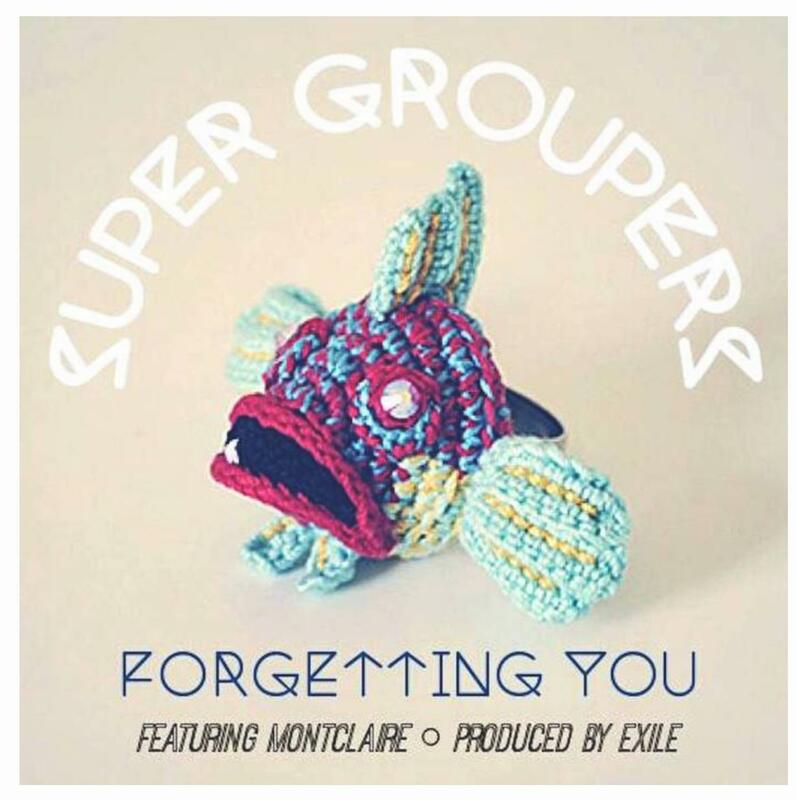 Super Groupers' first release, Forgetting You. 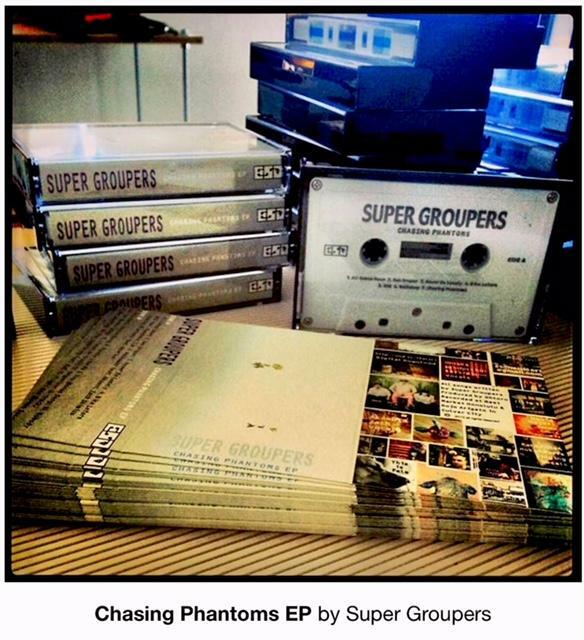 Find digital and CD copies on the band's BandCamp page. IllIsIt: Like I said, I work long hours at a job, I’m a plumber, so I see life and society through that lens. What I do see is a lot of suffering with families. I have to go to people’s homes and tell them, Look, your plumbing is messed up, it’s going to cost you 50 grand to fix it. There’s nothing I can do about it. I have people crying to me. IllIsIt: Why are families suffering that way? Why is so difficult to first off, own a house, and when you finally do, be able to maintain and keep that house running? It’s not getting any better. The cost of living goes up around here. The locals start to leave. Leaving everything behind so they can afford to live. IllIsIt: That doesn’t make any sense to me. So we end up working, 2-3 jobs and/or doing what I do and trading almost all of my time that actually means something to me that I should be spending with my family, my six year old son, and giving it to somebody else so they can live their dreams out. So that they can have time that I sacrifice on my end of the table. IllIsIt: I see a lot of suffering. It’s frustrating, to be honest. That doesn’t take a lot of cultural knowledge or political knowledge to become aware of. Just take a look around you. The homeless population grows, there’s development all over the place but there’s been no dent in that issue there. I’m wondering, too what’s going on. IllIsIt: I don’t know that much about politics, but I would talk about what I see every day working my job driving around in my green truck…the things that I see, the people I interact with, the experiences I have with them. The thoughts they share with me, the feelings they share with me, verbally, on their face. It’s intense if you tune into it. So I would talk about that. So, as artists, what do we do here? Najafi: Our number one responsibility is to be true to ourselves. Be responsible for what’s around us and try to, as much as we can, through who we are, the work that we do and our creativity try to improve the situation around us as best we possibly can. That’s the highest spiritual practice that anyone can do, I feel, turning negatives into a positive. Najafi: That’s what hip hop has always been. Hip hop’s creation is rooted in this alchemical process of creating positivity out of negativity. That’s what we’ve always adhered to in terms of our relationship with hip hop. Najafi: That’s what we’ve tried to do in the educational stuff and workshops we’ve been offering for high school kids, elementary school kids. We always try to deliver that same message that you have the ability thorough your creativity. Utilize it to improve your situation and the situation of everyone around you. Najafi: It’s not just financial too. It’s mentally, the reason why I stay creative, and try to put out as much stuff and create as much stuff as possible is because it’s good for me. It’s good for my brain, it’s good for my soul and that’s first and foremost what I think we should be most responsible to. Voices and music, of the Super Groupers.